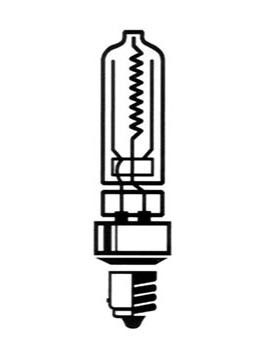 JD Type, Mini Can Halogen Lamp, Single Ended Base, fits our halogen socket item No. 48365 (search 48365). 130V, 2000 hrs. No reviews yet for the JD Type, Mini Can Halogen Lamp.